Hartlepool is situated on the northern bank of the mouth of the River Tees, 4.0 km south of Hartlepool in County Durham, North East England. Hartlepool uses two advanced gas-cooled reactors (AGR). 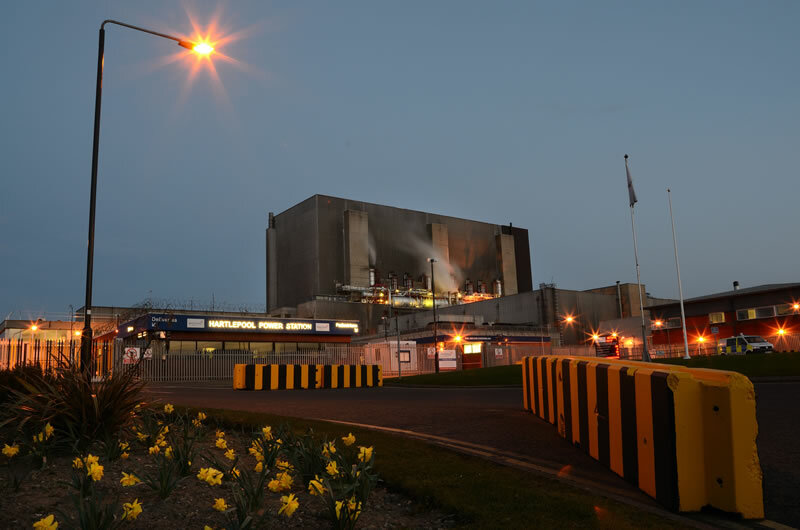 It was only the third nuclear power station in the United Kingdom to use AGR technology. It was also the first power station to be built as close to a major urban area. Originally planned in 1967, with construction starting in 1969, the station started generating electricity in 1983, and was completed in 1985, initially being operated by the Central Electricity Generating Board. With privatisation of the UK's electric supply industry in 1990, the station has been owned by Nuclear Electric and British Energy, but is now owned and operated by EDF Energy. On 18 October 2010 the British government announced that Hartlepool was one of the eight sites it considered suitable for future nuclear power stations. End of generation is currently estimated by EDF Energy to be in 2024.